Rupert Murdoch has appointed his sons Lachlan and James to top roles at his media and entertainment empire News Corp and 21st Century Fox. 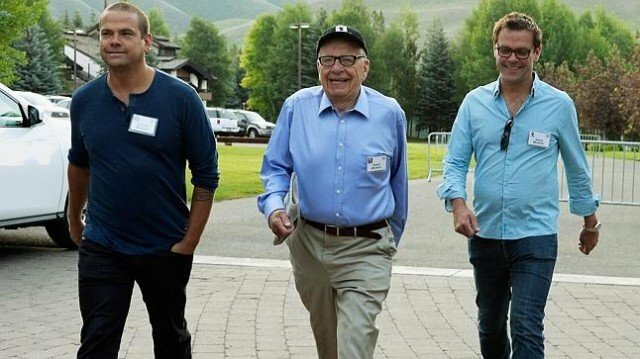 Lachlan Murdoch returns to the Murdoch empire as co-chairman of News Corp and 21st Century Fox, having previously stood back to focus on his own businesses. Meanwhile, younger son James Murdoch was appointed co-chief operating officer at 21st Century Fox. After the phone hacking scandal, James Murdoch quit as executive chairman of News International in 2012. News Corp is one of the world’s biggest media organizations, and owns newspaper titles The Times, Sun, and the Wall Street Journal. News Corp split from 21st Century Fox in 2013. The business owns broadcaster Fox News in the US and British Sky Broadcasting in the UK. Rupert Murdoch, who went through a high-profile split with wife Wendi Deng last year, said Lachlan was a “talented executive” with a “rich” knowledge of the business. Lachlan Murdoch will report to Chase Carey, chief executive at 21st Century Fox. He also said he was “pleased” to promote James into the “important role”. There is reportedly no new role for Rupert Murdoch’ third sibling, Elisabeth.